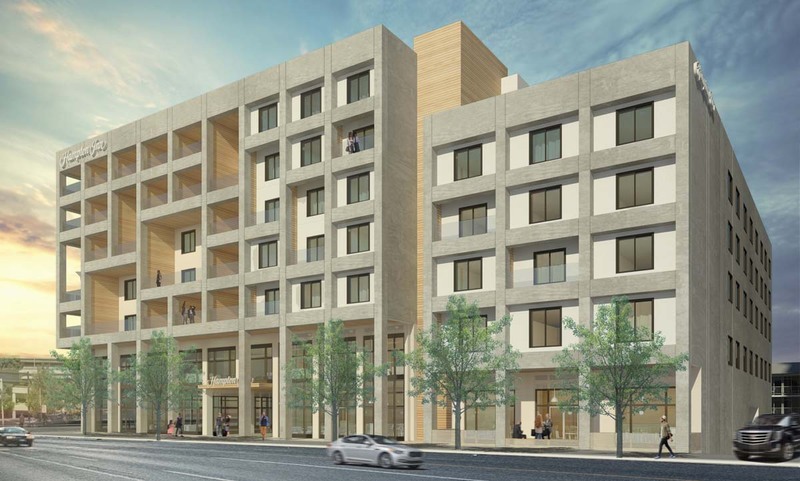 Update, 1/16/2018: The discussed hotel design merges loft style and warm tones. 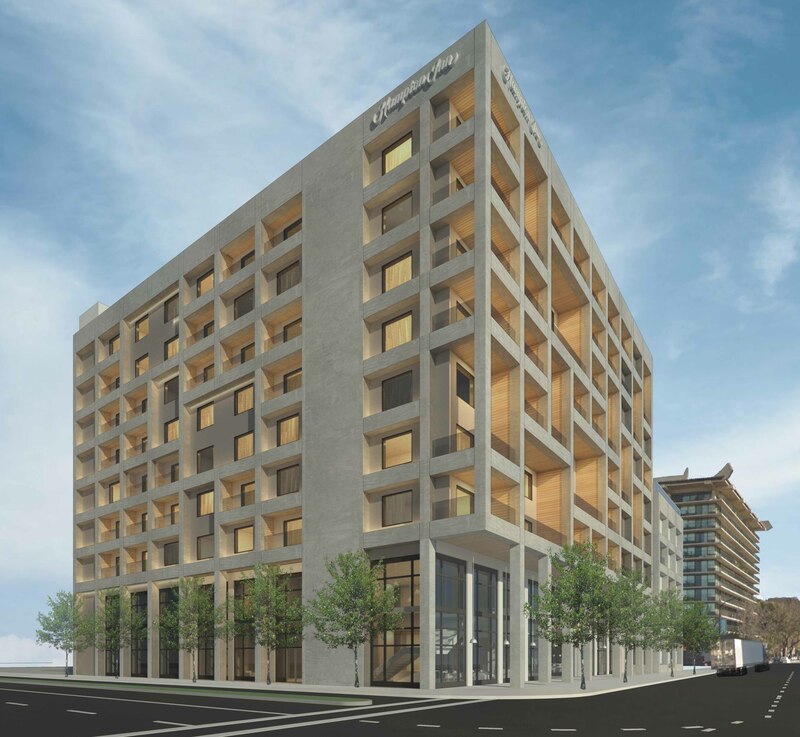 Quality materials, such as light wood siding and Corten (COR_TEN) steel, imbue the planned hotel with an upscale, welcoming atmosphere. 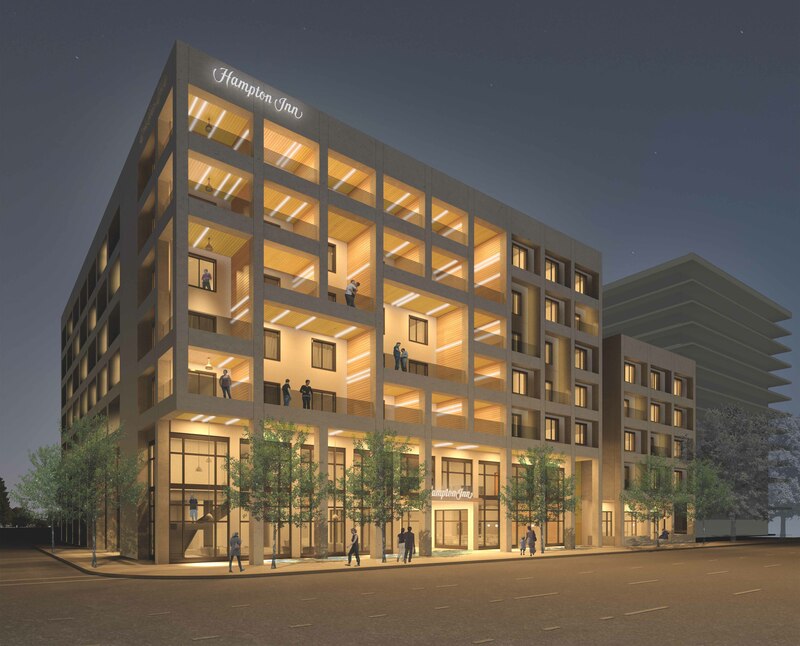 The proposed hotel is on a highly desirable metropolitan street corner between Old Town and Downtown Sacramento, with visibility from the 5 freeway. It is adjacent to the Amtrak station and newly constructed Golden1 Center Arena. The project is in preliminary planning stages, undergoing test fits to determine the correct brand, scale, and programming for the area. Its target market will be business travelers and visitors to the new arena. Potential uses of the site include 1-2 hotels, with an option of condos as well.